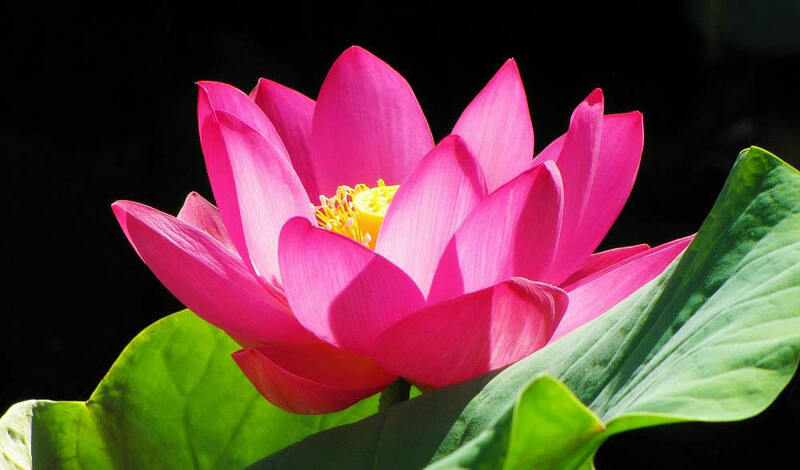 The lotus is a most rare flower. It blooms and bears fruit at the same time. When the lotus blooms, the lotus seeds appear. The lotus takes root in the mud and its stem grows up through the water. The flower is neither in the mud nor the water, but blooms above the surface of the water. The root in the mud represents common people. The stem in the water represents those of the Two Vehicles. Common people are attached to existence; the mud is an analogy for "existence." Those of the Two Vehicles are attached to emptiness; the stem in the water represents emptiness. The lotus flower, which blooms above the water, represents the transcendence of emptiness and existence and represents the Absolute Principle of the Middle Way in which there is neither falling into emptiness nor going to the extreme of existence. Emptiness and existence are the two "extremes." To be unattached to either of the two extremes is the Absolute Principle of the Middle Way. Why do we say that the lotus flower represents the Absolute Principle of the Middle Way, the Great Teaching, Perfect and Sudden? We say this because the lotus flower's blooming and bearing fruit simultaneously represents the non-duality of cause and effect. As the cause is thus, thus is the effect. If the cause planted is one of Buddhahood, the effect will be one of Buddhahood. The lotus blooming and bearing fruit simultaneously also represents the "opening of the provisional to manifest the real. 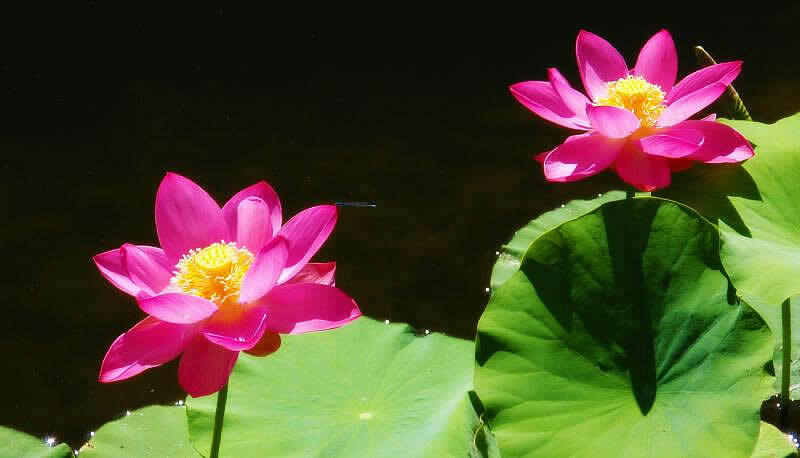 The blooming of the lotus represents the "opening" of the provisional dharma. 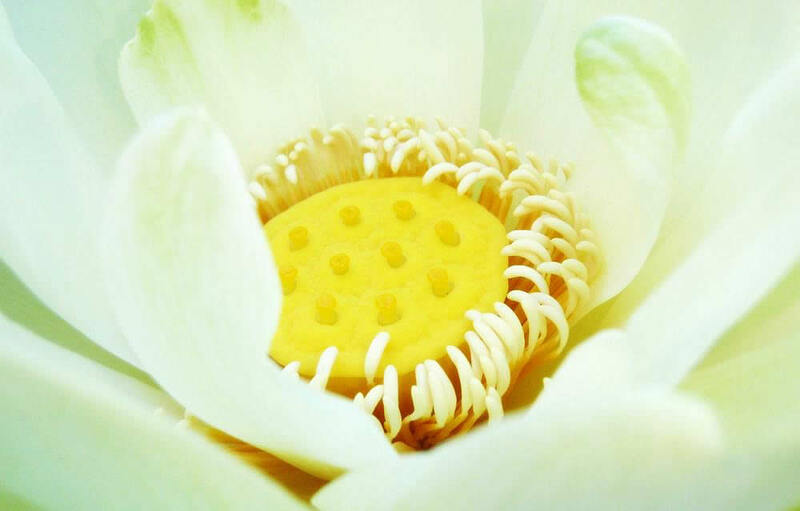 The lotus seeds which are revealed when the lotus blooms represent the real Dharma. Provisional Dharma refers to expedient devices and real Dharma is the genuine, "not-false" Dharma, the Principle of the Real Mark.